Valentine’s Day is all about love and romance. Whether you’re going on your first date or just happy to have an excuse to go on a date, we have some ideas of how you can spend this day of love at the Happiest Place on Earth. 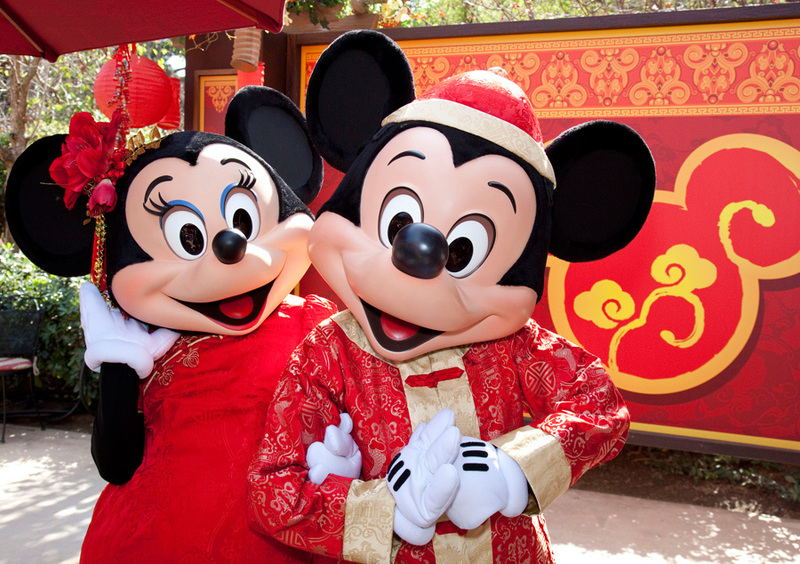 We know most of the restaurants and special experiences will require advance reservations and may already be fully booked, however, you can always celebrate an early or late Valentine’s Day and avoid some busyness at the parks and hotels, or think ahead for next year. 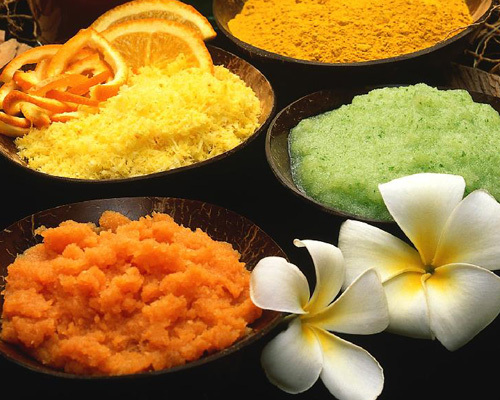 Spend a few hours relaxing with your other half at Disney’s Mandara Spa and enjoy all sorts of indulgent treatments. From couples massages and individual therapies to facials, pedicures, and exfoliating peels, you’ll walk away feeling refreshed and rejuvenated. What’s not to love? Treat your significant other to something truly special, a delightful dinner and reserved seating to Fantasmic! 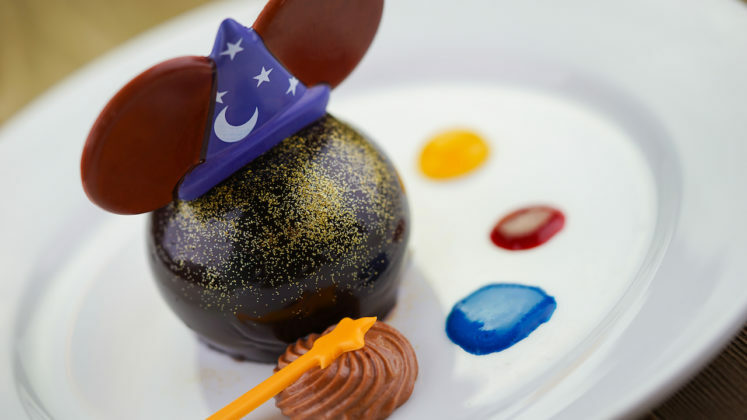 You and your date will enjoy a meal at the River Belle Terrace or Blue Bayou Restaurant and then have an excellent view of the nighttime spectacular. If Valentine’s Day is already booked, consider going before or after the holiday. 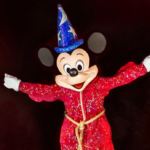 There’s also the Fantasmic! On-The-Go option from the Hungry Bear Restaurant. Preorder your meal and take it to go, then enjoy reserved seating for the show! Take a leisurely stroll around Disney California Adventure and sample delectable dishes from multiple food and beverage kiosks. These perfect portions make sharing and sampling easy. Wine, Beer, and other non-alcoholic specialties are also available for purchase. Compare notes on your favorites and learn a little more about each other as you venture through the park. While you’re there, make sure to get a FastPass for the nighttime spectacular World of Color featuring Hurry Home showing on Paradise Bay. Do you love movies and good food? The dinner and movie date night has been a favorite of many because it’s simple and fun. Begin your Valentine’s Day celebration by viewing a matinee with your significant other at the AMC Theatre in Downtown Disney. After the magic of the movies, grab a meal at one of the many eateries just steps away from the theatre. If you prefer to dine outdoors, UVA Bar is the place for you. Its elegant decor and upscale menu contribute to the unique restaurant setting. 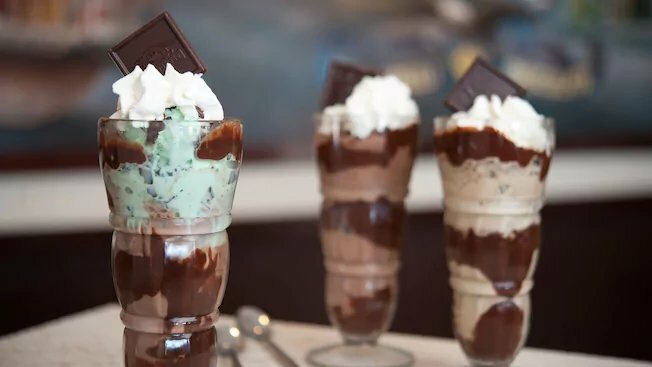 Who doesn’t love chocolate and ice cream? 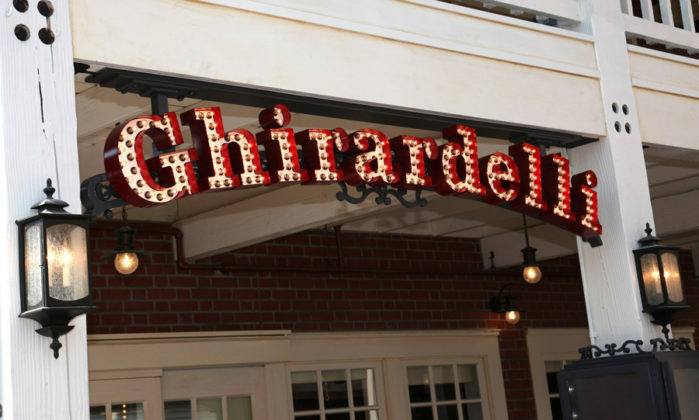 A sweet date at Disney California Adventure starts with splitting an Intense Dark Sundae at the Ghirardelli Soda Fountain and Chocolate Shop in Disney California Adventure. Then mix and match a bag of your favorite chocolates — and don’t forget to get your free sample! 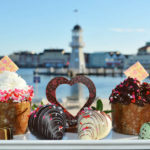 While most restaurants on property are booked for Valentine’s Day reservations, plan ahead for next year and dine at any of the signature restaurants in the hotels or the parks. We recommend Steakhouse 55 at the Disneyland Hotel. Relax in the Steakhouse lounge prior to your dinner where you can sip on a cocktail and nibble on tasty appetizers. Be sure to save room for dessert! 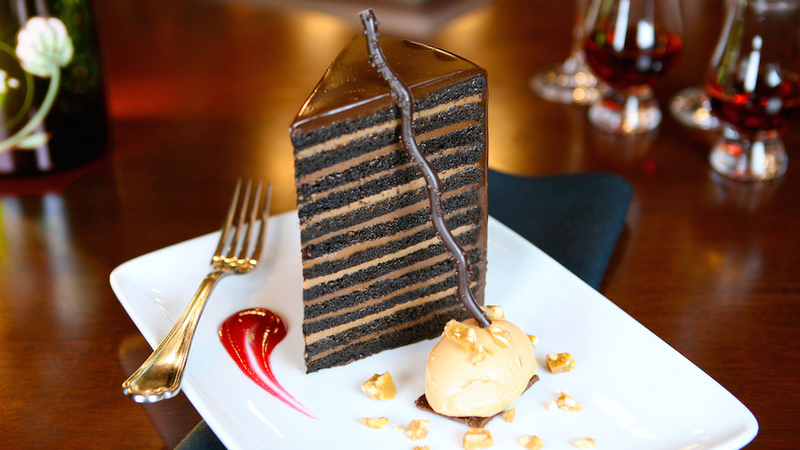 The 24-layer chocolate cake is definitely for sharing and the perfect way to end your meal. 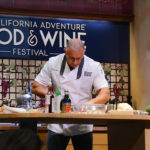 You might also enjoy Napa Rose at Grand Californian, Blue Bayou at Disneyland, and Carthay Circle at Disney California Adventure. 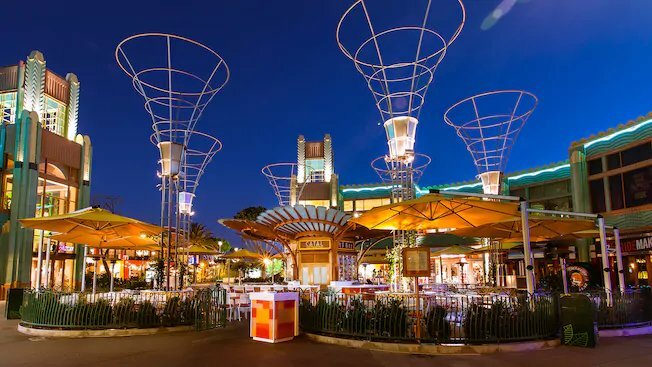 Downtown Disney is the place to be for nighttime entertainment. Bring an appetite and an ear for music to Ralph Brennan’s Jazz Kitchen. Enjoy live music every night from 6 to 10 p.m. and experience New Orleans through the soulful stylings of spirited performers. While you’re there, share some beignets or a tableside flambeed order of Bananas Foster. Bon appetite!